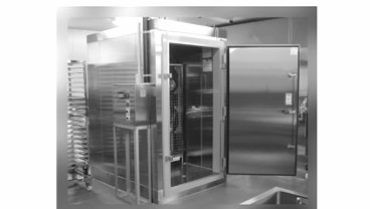 Find the perfect Flash Freezer by testing food supply! 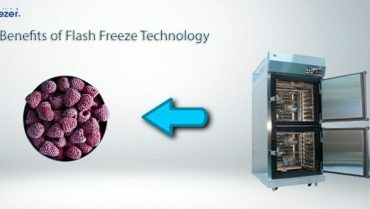 It is essential to test freeze from different options to select the best flash freezer. 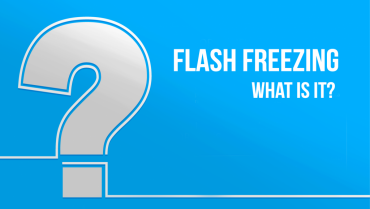 Test Freeze and Find the Perfect Flash Freezer! 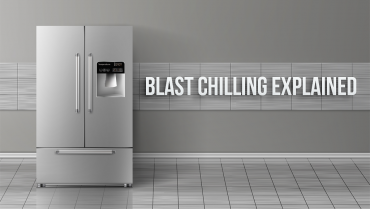 Which flash freezer brands are the most advanced? 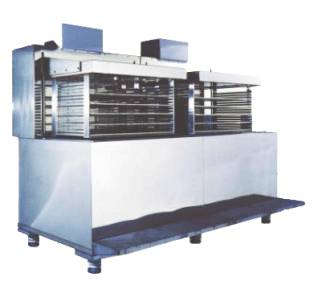 The perfect flash freezer varies on the type of ingredient being frozen and cannot be summarized as “So-and-so’s brand is the best flash freezer”. 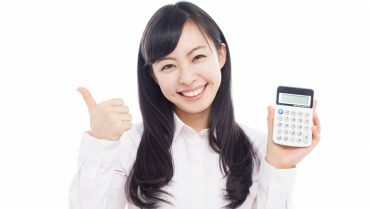 Also, the sizes and prices of freezers come in variety, and it is difficult to decide which freezer is best. 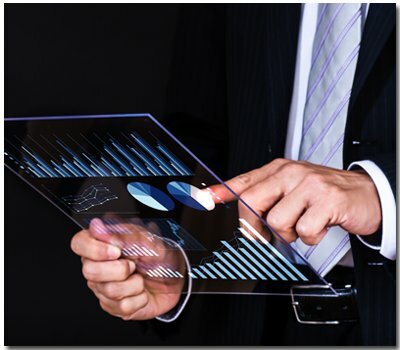 Nevertheless,“I want to buy the perfect flash freezer for my company”is a mandatory basis during purchase. For this reason does the Mita Exhibition Hall exist! 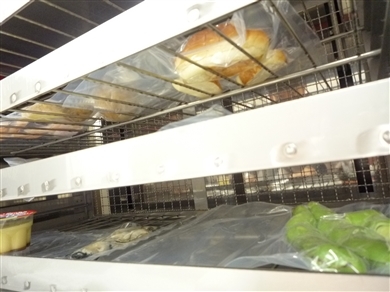 The Mita Exhibition Hall is the only company specializing in flash freezers and exhibition of machinery. 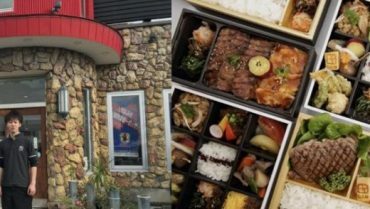 In the exhibition, each of flash freezer from different brands can be compared in terms of prices, freezing ability and capabilities, making it the best flash freezer selection site. 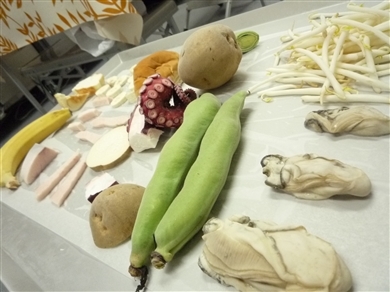 Here, I will share my experience visiting the Mita Exhibition Hall and testing the ingredients. First, you must have a reservation. 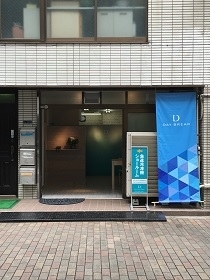 The Mita Exhibition is very popular and requires reservation to be made. 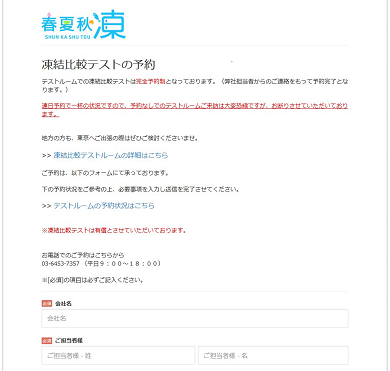 Reservations can be easily made online in the internet. Representative：Yes sir！Absolutely, when is a good time/date for you? Representative: Ok, then we will be looking forward to seeing you on the ○th, 2:00 PM. Within 5 minutes of the call, reservation was made. The representative was also kind and polite as always. 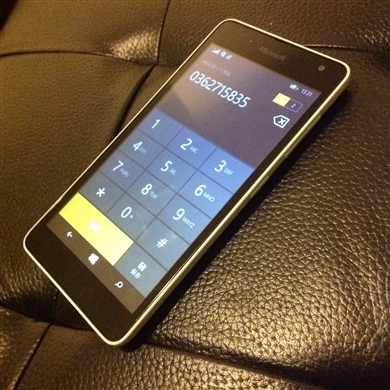 The online reservation also takes about 5 minutes. Visiting the Mita Exhibition Hall! When arriving at the exhibition hall, the friendly representative welcomed me. The representatives here are flash freezer experts. Among the experts are those whose grandfather has handled freezers and are third generation specialists. 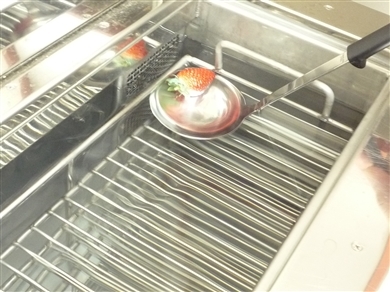 This time, I compared the results of froze test with a liquid based freezer and air based freezer. 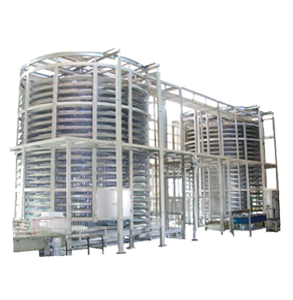 First I will introduce the process of liquid based freezer. 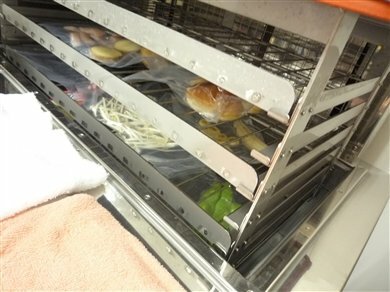 In a liquid based freezer, the contents are packaged, sank in alcohol cooled at -30℃, and frozen. Upon finishing the packaging, the contents are finally sank into the liquid fuel! 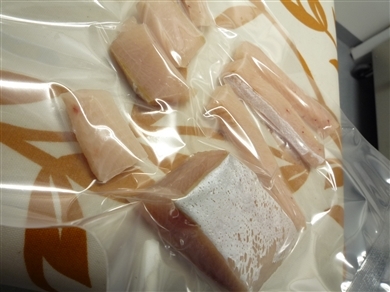 The contents are left in here for a while, and preparations for the air based freezers are done during the process. Air based freezers are simply frozen as is. 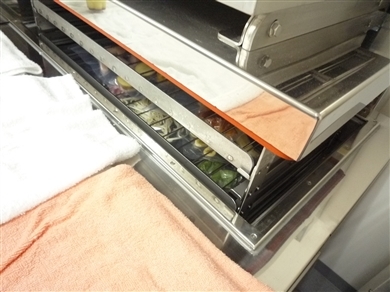 An “easy preparation” may be one of the benefits of this type of freezer. 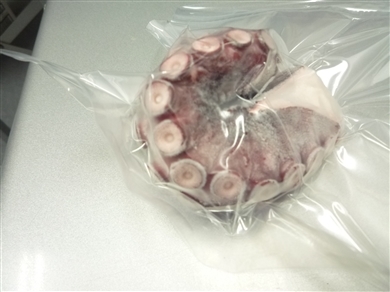 The pictures of frozen products are below. It may be difficult to tell by the picture, but the contents are frozen and very hard. The Japanese Sprouts were like freshly made french fries. The liquid based freezer also froze ingredients very hard. I also froze un-packaged contents. The liquid based freezer, uses alcohol that brings no harm to the human body. Therefore, it is safe to consume products that were frozen unpacked. I was able to enjoy sampling the un packaged frozen strawberry. After all of the ingredients have been frozen, I have defrosted and sampled each product. 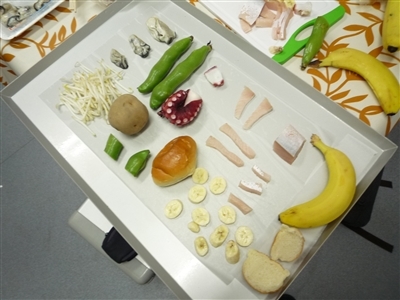 Below are the results of comparing each ingredients. 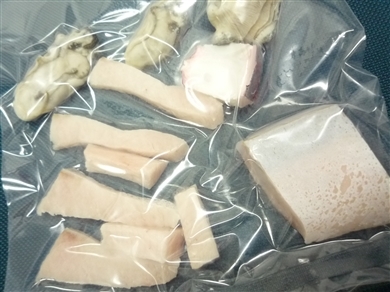 The change in outer appearance varies on the ingredients frozen. 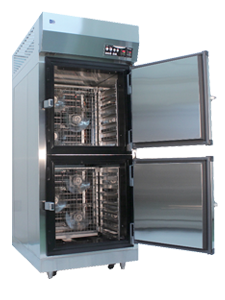 The perfect flash freezer can differentiate depending on the ingredient frozen. 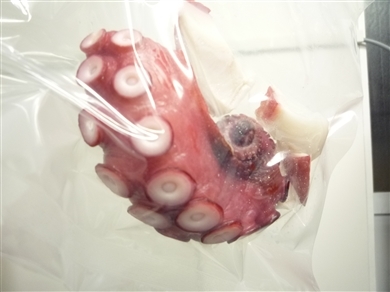 Seafoods such as Yellowtail Sashimi, Octopus and Oysters are better preserved with liquid based freezers. On the other hand, beans coped a lot better with air based freezers. The sections with ◎ was especially frozen at high quality. It was by far the best frozen products ever preserved. By actually testing the ingredients, you can discover the changes of ingredients. 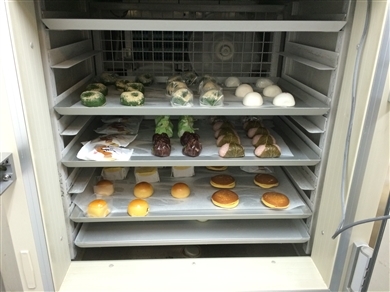 In order to discover the best flash freezer, it is important to visit the Mita Exhibition Hall. During this visit, I was able to flash freeze test products I brought to the showroom. 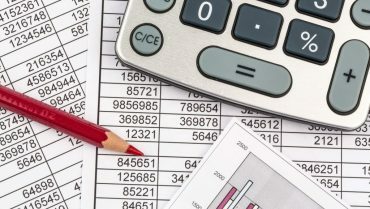 The Mita Exhibition also provides applications to financial aide and counseling concerning budgets. Reservations to the Mita Exhibition Hall can be made at the link below. Click here for information on Exhibition Hall! 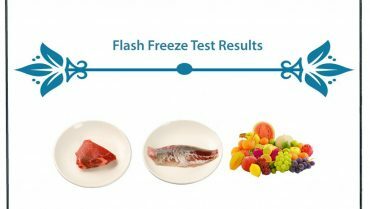 Flash Freeze Test Results !